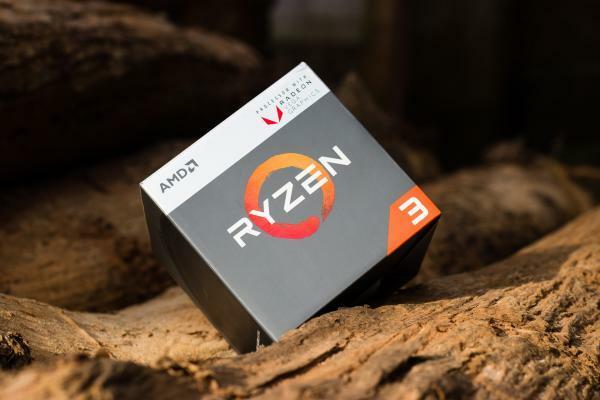 Advanced Micro Devices, Inc. (NASDAQ: AMD) stock jumped by more than 15 percent Wednesday after the company reported in-line earnings per share numbers in a difficult semiconductor environment. AMD’s Q4 revenue and Q1 guidance were both slightly below Wall Street consensus estimates, but AMD shares experienced a major relief rally. AMD shareholders were impressed by Q4 gross margins of 41 percent compared to 34 percent margins a year ago. The company also said 2019 margins will be even higher. AMD had been down 12.2 percent this week prior to its earnings report after rival NVIDIA Corp. (NASDAQ: NVDA) slashed its guidance significantly on Monday. Several analysts have weighed in on AMD’s quarter. Here’s a sampling of what they had to say. Northland Capital Markets analyst Gus Richard said AMD’s Q4 numbers were better than feared. “We continue to believe that graphics inventory correction to be complete by Q2:19, setting a stronger 2H:19 along with growing data center demand for AMD CPUs and GPUs driven by on-line gaming,” Richard wrote in a note. UBS analyst Timothy Arcuri said AMD has executed its recent product launches extremely well and it has a large runway for potential market share gains, but the stock has a lot riding on the second half of 2019. “The bull would argue that AMD could be exiting C2019 at ~$1.20/yr annualized EPS making the current price seem quite inexpensive, but the bear would argue Rome still carries timing risk and a lot is now riding on 2H:19,” Arcuri wrote. Wells Fargo analyst Aaron Rakers said AMDs near-term market headwinds aren’t nearly as important as the progress the company has made with its Ryzen PC share gains, the ramp of its EPYC server CPU products and early traction with its 7 nm datacenter GPU business. “While AMD’s Radeon datacenter GPUs are reported within the company’s Computing & Graphics segment, the company did report that combined EPYC CPU + Datacenter GPU revenue reached a mid-teens contribution of total revenue,” Rakers said. Morgan Stanley analyst Joseph Moore said AMD will have difficulty hitting its high single-digit revenue growth target in 2019. “While AMD had clearly signaled some 1q challenges, guidance was 15% below current consensus (and 21% below where consensus was before management had cautionary comments on 1q at a conference in December), but the company maintained high single digit growth [guidance] for the year, which seems like a very high bar in light of those 1q challenges,” Moore wrote. MKM Partners analyst Ruben Roy said full-year 2019 guidance seems to be on the aggressive side. “While we continue to believe that AMD has and continues to execute well on its new product road-map, we remain concerned that incremental market share gains for server CPUs and meaningful gains for datacenter GPU share will become more difficult as the competitive landscape continues to evolve,” Roy wrote. KeyBanc analyst Weston Twigg said the latest numbers from AMD are enough to support 2020 EPS of 96 cents and modest upside for AMD stock. “The near term remains challenging as GPU channel inventory remains high and demand drivers are soft; however, we expect revenue to accelerate into 2020 based on share gains, and we project 2020 revenue growth of 20%,” Twigg wrote. Northland has an Outperform rating and $28 target. Morgan Stanley has an Underperform rating and $17 target. UBS has a Neutral rating and $24 target. Wells Fargo has an Outperform rating and $30 price target. MKM has a Neutral rating and $20 target. At time of publication, AMD shares were up 15.8 percent at $22.30.